Tustin, California – Oct. 28, 2015 – RighTime® Home Services, a leading provider of air conditioning, heating and indoor air quality services in Southern California, announced today a holiday toy drive to benefit The Illumination Foundation, a local nonprofit working to break the cycle of homelessness in Orange County. Between Nov. 4 and Dec. 2, 2015, RighTime Home Services is inviting residents of Orange County to visit the RighTime offices located at 1451 Edinger Ave., Suite D, between 8 a.m. and 5 p.m. to drop off toys for the Illumination Foundation’s upcoming Holiday Carnival. As a thank you, RighTime is offering toy drive donors 20 percent off any heating, air conditioning or indoor air quality service. The Illumination Foundation’s Holiday Carnival is a private two-day event, which will be held Dec. 12 and 13, to provide holiday games, crafts, food, and other activities for homeless and at-risk families in Orange County’s low-income neighborhoods in Anaheim, Stanton and Santa Ana. RighTime will be donating the collected toys, as well as an additional $500 worth of toys to be given out at the event. The highlight of the Illumination Foundation’s Holiday Carnival is the parent-exclusive toy room. A large enclosed tent is filled with the donated new toys for young children and gift cards for teens. Adults in attendance have the opportunity to choose gifts for their children at no cost, while volunteer ‘elves’ wrap the gifts. All gift donations must be new and unwrapped. Toys of all costs and sizes are welcomed for young children, and gift cards are recommended for teens. If interested in volunteering for the event, or learning more about the Illumination Foundation, visit http://www.ifhomeless.org or contact Sheryl Henrickson at shenrickson@ifhomeless.org. To learn more about RighTime Home Services’ award-winning heating, air conditioning and indoor air quality services, visit www.rightimeservices.com or call (714) 793-0739. RighTime® Home Services is a leading brand of American Residential Services LLC, operating a network of more than 60 company-owned, locally managed service locations spanning 22 states, with approximately 5000 employees. United by exceptional service ®, the ARS® / Rescue Rooter® Network serves both residential and light commercial customers by providing heating, cooling, indoor air quality, plumbing, drain cleaning, sewer line, radiant barrier, insulation and ventilation services. Each location has a knowledgeable team of trained specialists. Providing exceptional service and ensuring the highest standards of quality, RighTime Home Services has the experience to do any job right. For more information, visit www.rightimeservices.com or call (866) 518-6480. CA #765074. The Illumination Foundation is an Orange County-based 501(c)(3) nonprofit dedicated to providing targeted, interdisciplinary services for the most vulnerable homeless clients to break or prevent the cycle of homelessness. 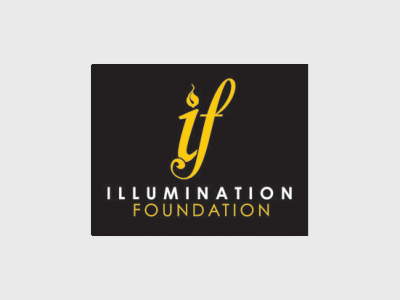 The Illumination Foundation pioneered an innovative and cost-effective solution to advance health and housing stability for the chronically homeless community. To date, the Illumination Foundation has provided housing services to 2,100 families, administered medical services to 14,000 patients, imparted workforce development and job readiness training to over 1,000 adults, and provided childhood enrichment services to 1,919 children. For more information, visit www.ifhomeless.org. © 2015 American Residential Services LLC. All rights reserved.